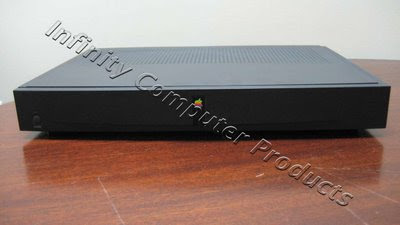 Is The Apple Set Top Box A Prototype Or Is It Even Rare? The majority of the units that are availible in the United States are NOT prototypes. They were actually used "in room" at hotels at Disneyland California - roughly 5000 units were distributed. There was never ANY intention for these to be availible to consumers. Most of the "rare" jargon was written by a guy who acquired a bunch of these and wanted to sell them on eBay a few years back.